Atlanta, Georgia, July 30, 2013 – According to a survey conducted by the National Small Business Association (NSBA) in 2012, “Small businesses have struggled to find reasonable, affordable capital.” With millions of small businesses in the country driving over half the sales in the United States, it's more important than ever for small businesses to find the capital they need to survive. 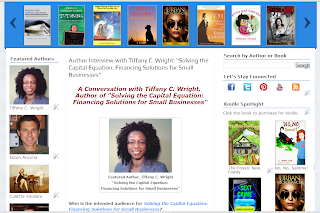 Author Tiffany C. Wright's book Solving the Capital Equation: Financing Solutions for Small Businesses deconstructs and examines various forms of capital for small business owners so they are able to find the funding needed to grow their business. 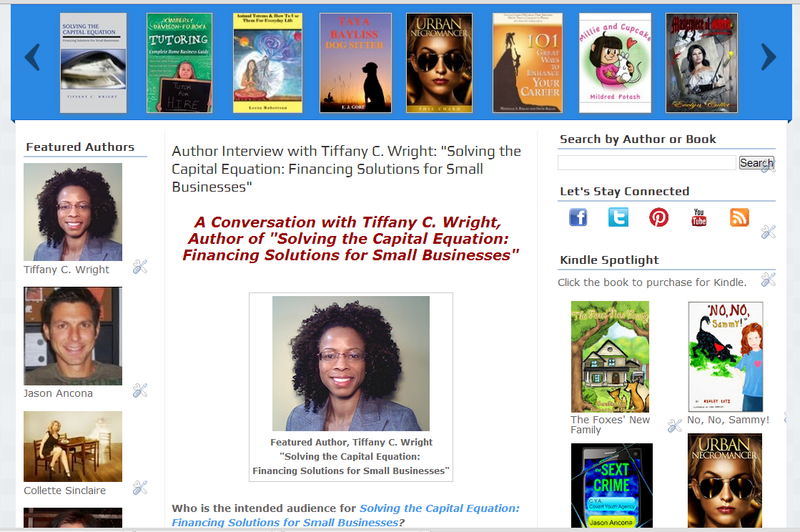 This blog's author, Tiffany C. Wright (me!) 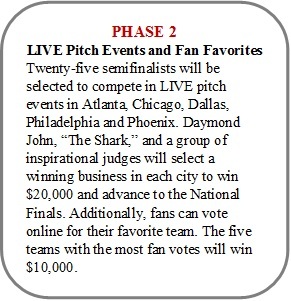 is feature on Author and Book Buzz! Check it out. Here is a snapshot of my feature! Wells Fargo FAQs for the 7(a) program. Apparently Wells Fargo is the top SBA lender for fiscal year 2013. According to a press release issued by Wells Fargo, the company extended over 1,900 SBA 7(a) loans to businesses since the 2013 federal fiscal year began. Specifically, Wells Fargo approved these loans between October 1, 2012 and April 30, 2013. The aggregate value of the approved loans totaled $739 million. This was an increase of 16 percent in dollar terms and 10 percent in volume terms over the previous fiscal year. 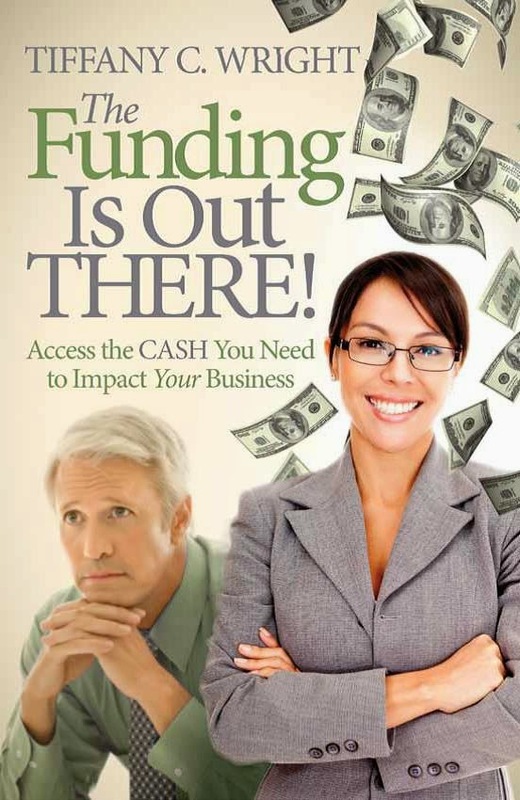 The SBA 7(a) program is a loan guarantee program for for-profit small businesses with a tangible net worth of $15 million or less and average net income of $5 million or less over the previous two years. Through an SBA-approved lender the SBA guarantees 85 percent of the loan for loans up to $150,000 or a 75 percent guarantee on loans between $150,001 to $5 million. 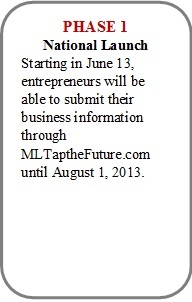 The motto: If you are in the market for an SBA loan, check out Wells Fargo. In general, they get high marks for customer service. As always, approach a vice president or higher level NOT a branch manager. 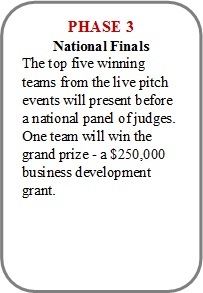 Although all SBA loans go through committee, a VP's input still holds more sway. If your vendors and suppliers turn on you due to lack of communication and poor payment, your hiccup could become a disaster quickly. As with anything, when people notice things and crave information, they begin to draw their own conclusions and the rumors may fly. These rumors with no competing, true information can shorten your company's lifespan significantly. By communicating frankly you will build your relationships with your vendors and suppliers despite the slow pays. Keep this in mind when your company encounters some distress or slight financial distress.